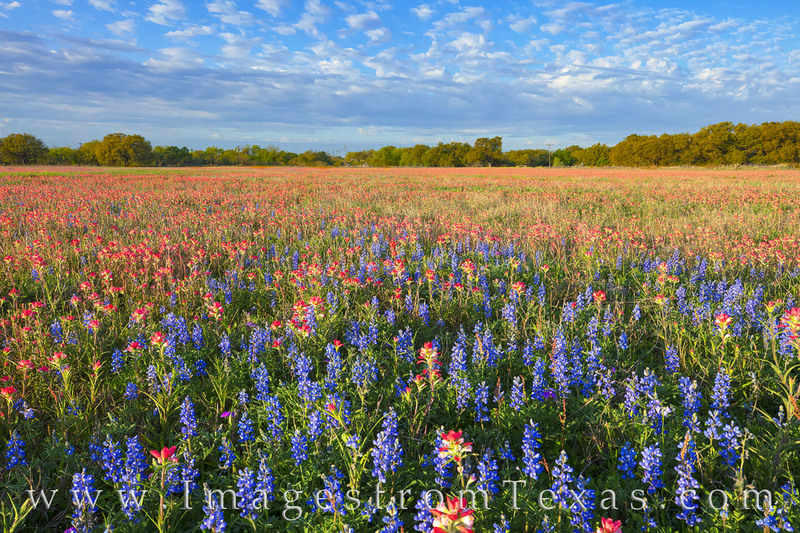 Bluebonnets and Indian Paintbrush dance in a gentle breeze and morning light near Poteet, Texas. Wildflowers could be found across the area this spring, and fields were covered in reds, blues, and golds of a variety of colorful blooms. This wildflower photograph was taken on private land with permission by the owner. Photo © copyright by Rob Greebon.